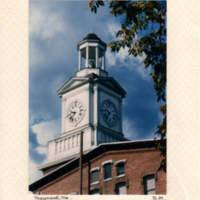 Two note cards depicting the Maynard Mill clock tower. 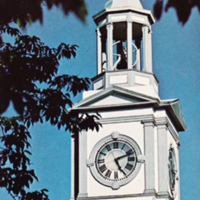 Design is by Light Dance Images, by Bonnie McGrath, Acton, MA. 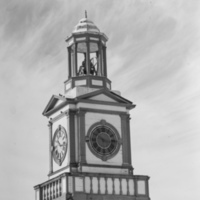 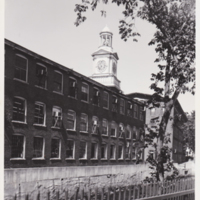 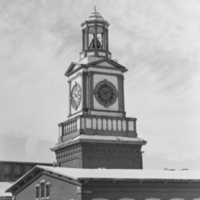 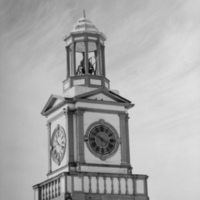 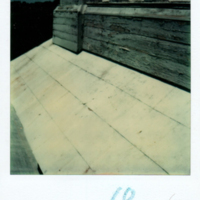 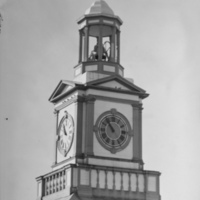 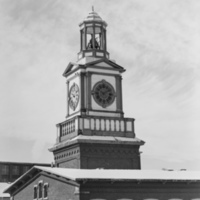 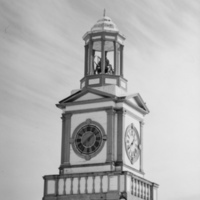 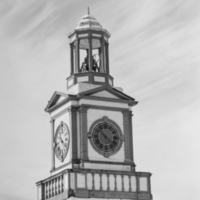 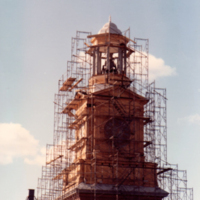 Six photos of the Mill Clock Tower, post renovation in 1981. 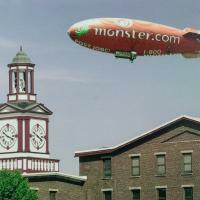 A photograph of the Monster.com blimp with the Mill Clock Tower in the foreground. 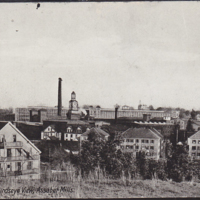 Monster.com was a large tenant of the Mill complex in the early 2000's. 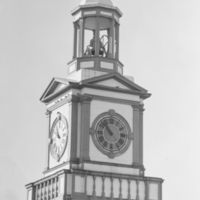 The town clock seen at different times, inside and out. 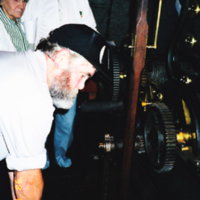 George & Ginny Paul looking on while the clock is being wound, a weekly event.